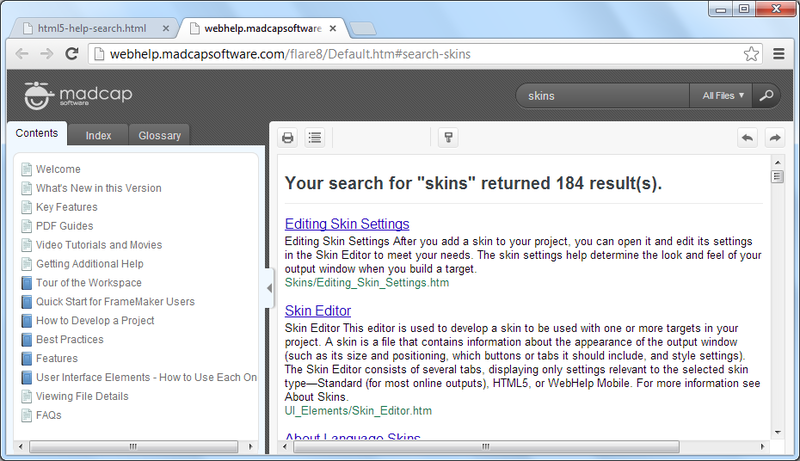 Here is a quick search form you can use on another page to open an HTML5 output search in the skin. 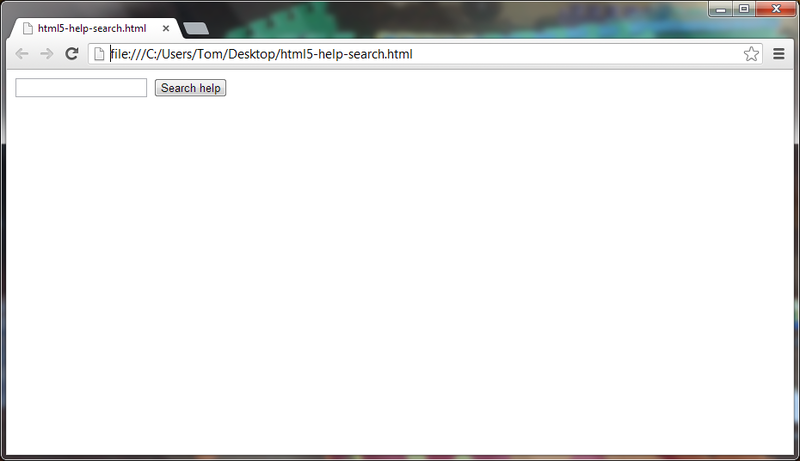 To use it, change the value for uri (third line) to the URL for your Flare HTML5 help system’s main file. 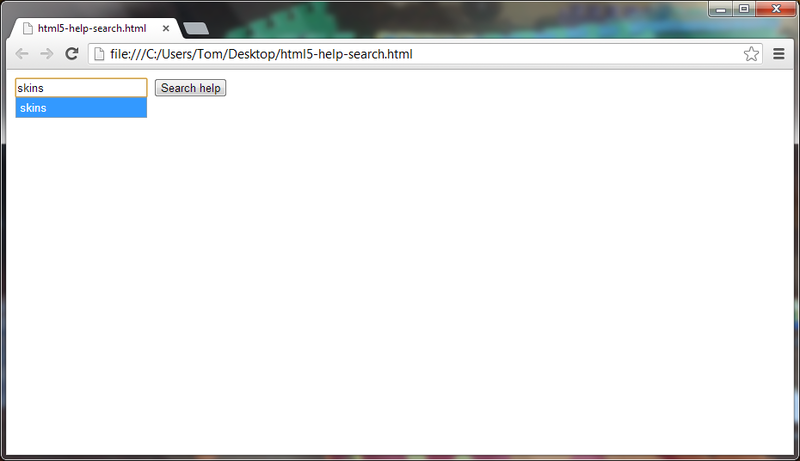 Then place the script and markup in the page markup where you want the form to appear on a web page. This is freaking awesome. Exactly what I was looking for.